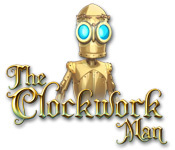 The Clockwork Man is rated 3.9 out of 5 by 12. Rated 5 out of 5 by smilingsun72 from HOs Industrialized with blast challenging Fun! I liked this game. It was different than any other HO games I've played. I loved the characters and the storyline. The graphics were amazing and the music great. Finding some of the objects were a bit challenging but I got through it with the help of the robot, who had several methods of finding the items. The only thing I did find was that I had to turn the music down at the beginning of the game because it drowned out when the characters talked. After that the game was very pleasant and bright, which is an awesome change with all the gloomy stuff coming from BF right now. Rated 5 out of 5 by Girtabik from Great game! One of the most beautiful HO titles of all times. There were some new features at the time. Music and sound is good enough. Graphics is BEYOND the words. Great! The story is a weak part of a game. Overall it deserves the 5 star rating. Rated 5 out of 5 by abdulwahabmalik from Very Nice Game to Play i Really liked this game. i recommended this game after kingdom chronicles. Rated 4 out of 5 by arnold1049 from MISLEADING TITLE I'm not sure where the title for this game came from, unless it is a reference to the "robot" that helps the character during game play. Or maybe during the one hour demo, the clockwork man hadn't appeared yet. This is a challenging game that caught my interest immediately. The female protagonist's dress however, was a little off-putting. She is supposed to be a member of a famous family known for their intelligence and, in her grandfather's case, as inventors. Yet she is dressed in a sleeveless outfit that would look more appropriate for a saloon dancer. Definitely a distraction for me. I turned off all sound except the voiceovers. The accents for the voiceovers were excellent. The mouths did not move, however. The unique part of this game is the fact that some of the HOS are scrollable, either right to left or top to bottom. This makes finding the objects much more challenging as the area covered by the scenes is much greater. The "robot" provides the hints, which cost "energy" points. The energy points rebuild over time. During the hour I played, two types of hints became available. One type shows a picture of the object you are looking for and the other actually takes you to the object. Or near it; I used that type of hint a couple of times and still ended up searching around the area before I found the object. The first type costs one energy point, the other one costs 2. My guess is that other types of hints will be made available later in the game. A definite buy for me. Rated 4 out of 5 by sandrah212 from Charming, but short steampunk adventure This is a rather old, but nevertheless very charming steampunk-y hidden object game, which should not be neglected despite its age! Good story, nice graphics. 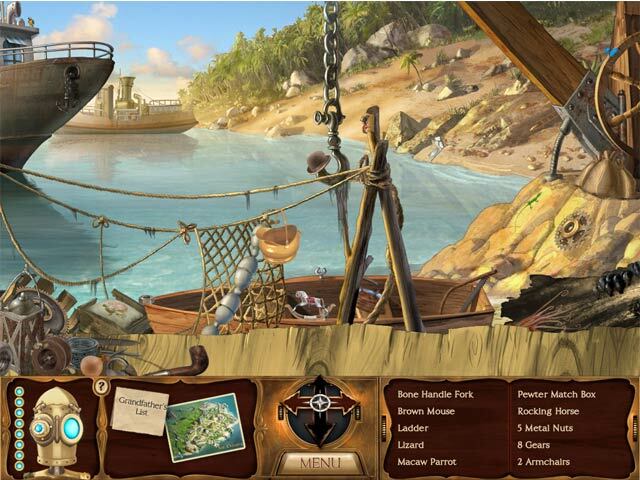 Innovative hidden object scenes that include scrolling, for example. 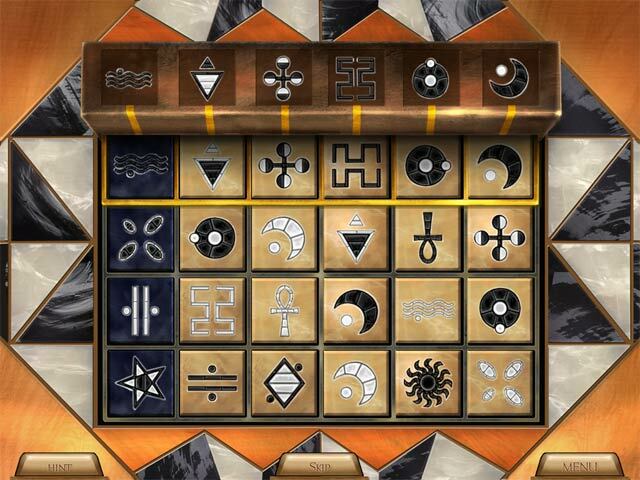 A few selected, forgettable puzzles. My only gripe is that this game is WAY too short! Finishing the story does unlock free play, which is nice, but I was very surprised at the length. To me, when it ended, I felt I was just getting into the story! It felt very rushed. Also, the hint system is good for hidden objects, but I felt there were too many hints of them! You can choose between 4 different hint types that cost your little helper different amounts of energy units. They fill up again rather quickly, though, and you could easily play a scene using hints only! I was missing the challenge. Achievements would've been nice! Hints are rather useless outside of hidden object scenes! I wouldn't pay full price for this game, but anyone who likes hidden objects should definitely pick this up for the Daily Deal price! Rated 4 out of 5 by pmods from Great HO game with a new twist! This review is based on the full game which I completed. This is a hidden object/adventure game which is mainly hidden object scenes, mixed in with a few puzzles. The hidden object scenes are scrolling, which means that you can move either side to side or in and out of a scene, adding a 3d like effect. Your view of items shifts as you move, much as it would really happen as you move about a room and change your perspective. I've never seen this in a game before and it is a nice effect adding challenge - in some cases too much challenge!! Pros: Apart from the scrolling effect described above- I liked the graphics in this game, which were beautiful and clear. I also liked the fact that the HO scenes and some of the puzzles were on the challenging side. I find many games too easy, even on the hardest setting. If you do get completely stuck, the hint system was one of the best I've ever experienced. Rather than offering vague tips, it offers real assistance when you're stuck, getting more and more clearer if you need to keep using hints on the same puzzle. Cons: The game was very short, and I found there was a lot of time spent talking. Although well voiced, the conversations were long and the narrators spoke very slowly. Some of the cut scenes could not be skipped or sped up so you just have to sit through them. Overall for me, I enjoyed this game and would recommend it- however considering the length, I would probably advise waiting for a special offer as it may not be worth full price compared to other games out there. Rated 4 out of 5 by Eoarod from Great Story! Absolutely fabulous graphics, characters and story - great moral too! 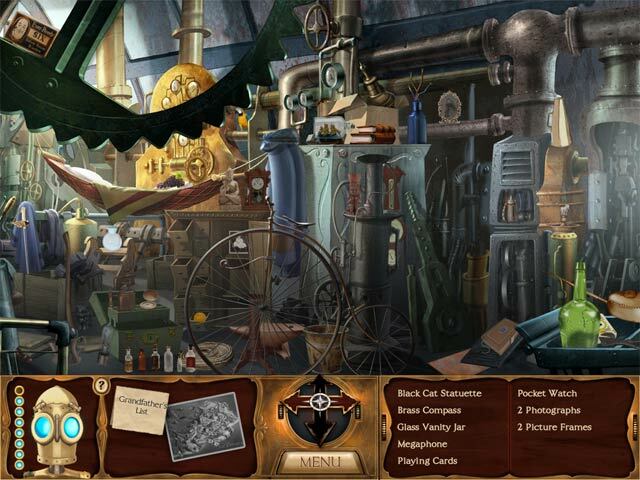 However, though the Hidden Object scenes were innovative many of the items were plain just too difficult to find. True - you get 4 different types of hints - but for me I just felt I needed to use far too many of them! Found myself getting frustrated and that's a shame because this is a stellar game & one you really want to enjoy; the frustration put a damper on that a bit. I still recommend it - if you go into it knowing you'll be using the heck out of those hints - likely you won't be frustrated like I was!! Happy gaming - I do recommend this one! Rated 4 out of 5 by pinkladylilly from fun hidden object game this is a good game . in places it was very challenging . Rated 3 out of 5 by Mazeo from Average Game A pretty silly story line, and some very tiny hidden objects, means in my opinion this would only be a "buyer" if it was on special. Join Miranda Calomy on a journey through a world of wondrous science in the Victorian era, in The Clockwork Man!